I love dreaming about my one-day, forever home and all the different decor ideas I'll be putting into it! There are so many options and styles to go with...I'm glad I have some time to figure out what I truly want in a home! But for now, while I'm swapping realtors for rentals, I thought I'd share some beautiful homes and interiors I've seen floating around the web! Enjoy! 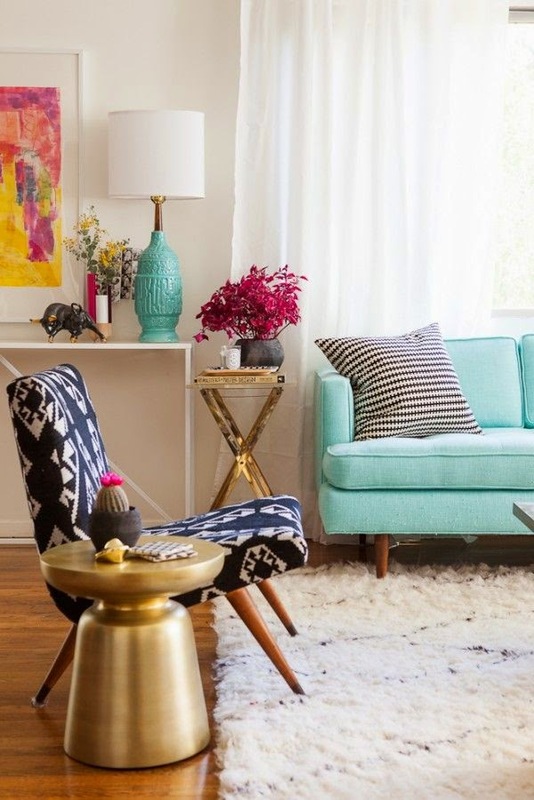 What a bright, beautiful living room! I feel like I would be nothing but creative in there! 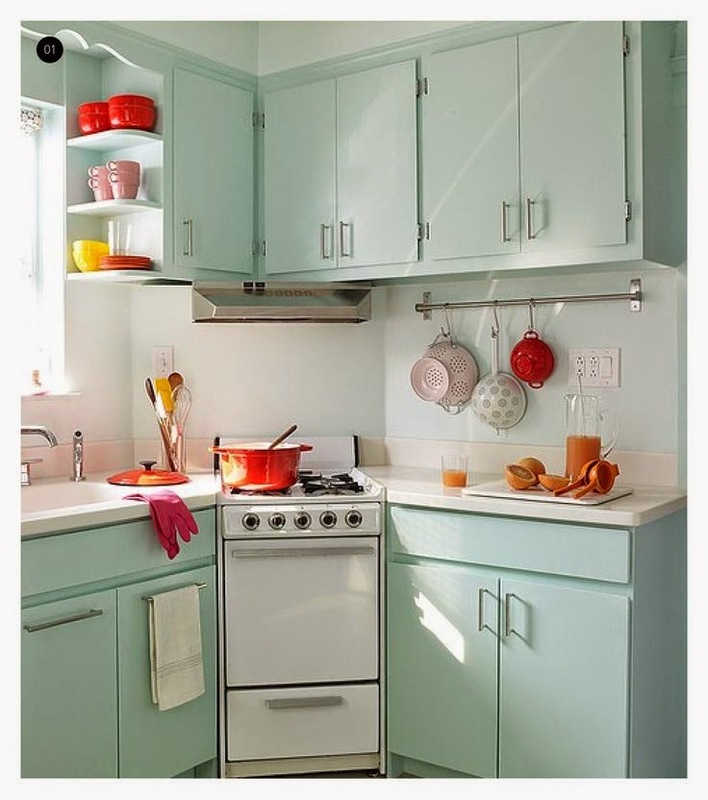 I love all the peppy colors and retro accents. And who doesn't die over a pop of gold? 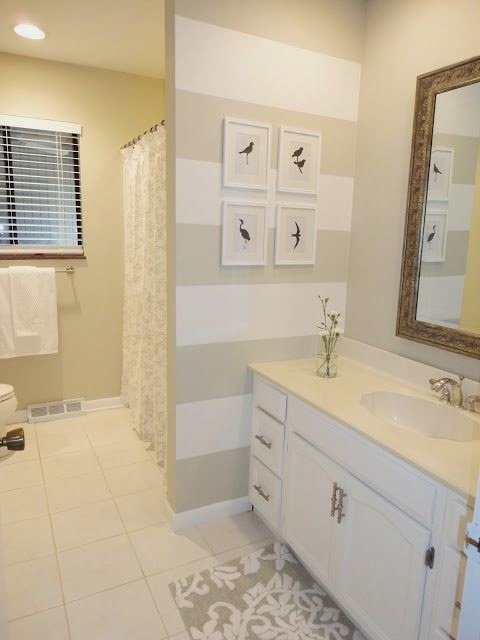 I love this neutral bathroom! It just looks so clean and refreshing. Exactly what a bathroom should be. Holy cozy! This looks so comfy and romantic! 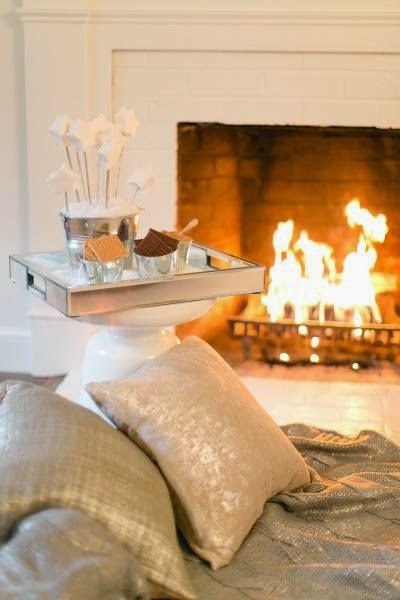 Makes me want to snuggle up to my hubby with a glass of wine and enjoy some of those s'mores together. 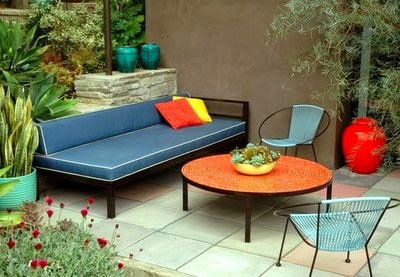 A pretty, retro inspired patio! I love eating and relaxing outdoors, so I'm super excited to one day have a nice deck or patio to enjoy all summer long. A dining room fit for a dinner party. 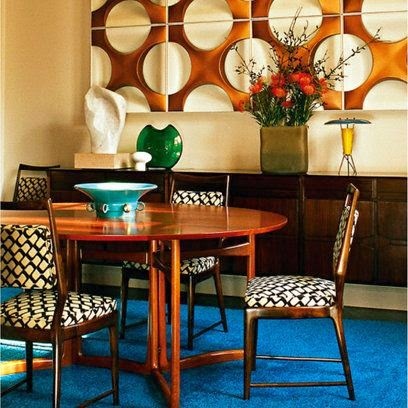 I love the chairs and have always envisioned a navy blue dining room. Is that weird? That's probably weird. Whatever. I have a vintage wood dining table with gold trim and legs that I just think would look beautiful surrounded by navy blue walls, with a gold starburst clock above a mid-century china cabinet. Did I mention I'm a dreamer? Yeah. What details do you dream about for your home? Are you as big of a future-thinker as I am?